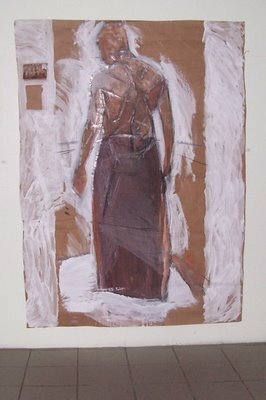 An approximately life size drawing on brown paper by Anna Serrao at The Bottom Line, an exhibition of drawings by 13 of Trinidad’s top artists. The exhibition runs from Sept 27 to October 3, 2006, at the Cotton Tree Foundation, St Ann’s (opposite Cascadia), 10 am to 6 pm daily except Sunday. 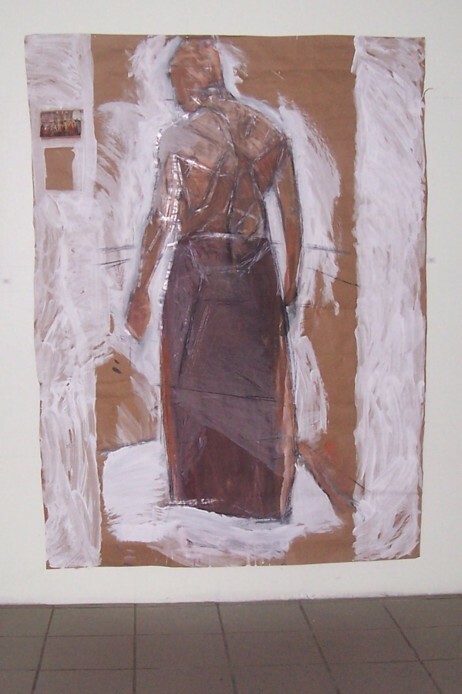 I love the feeling of three-dimensional form and the balance and movement in this piece. Other exhibitors at the show are Akuzuru, Dean Arlen, Beckett, Pat Bishop, Bowen, Sabrina Charran, LeRoy Clarke, Hinkson, Greer Jones Woodham, Makemba and Sundiata.